Your wedding is a reflection of the values you and your new spouse share. So if you both care deeply about preserving the environment, an organic wedding is the right choice for you. Organizing an organic wedding is a lot easier now than it was a few years ago. These weddings are becoming more widespread among people from all walks of life. This includes celebrities, activists, and anyone who’s inclined to do some good in the world. At the same time, organic weddings are still a novelty in most places. For this reason and more, your guests will find your wedding an unforgettable experience. 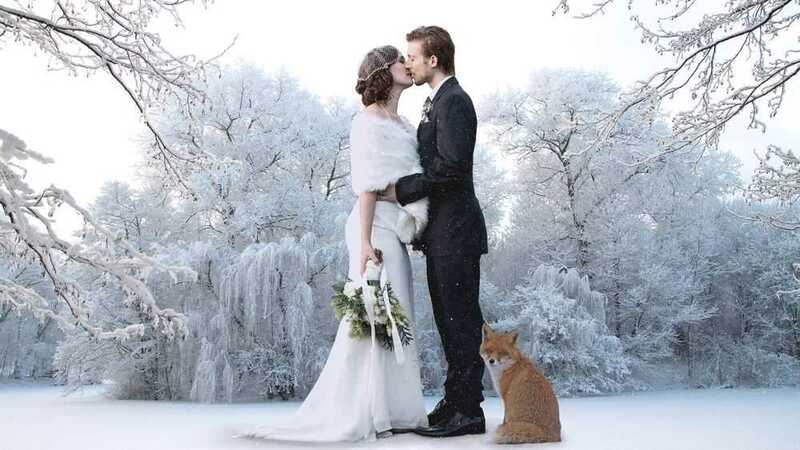 Unfortunately, it might not be possible to make sure every aspect of your wedding is organic. For example, your choice of venues may be limited. And some organic food alternatives may fall outside of your budget. But with some effort and research, you can organize a beautiful and eco-conscious wedding. You may even be able to save some money on it. You don’t have to do this alone. Try to hire wedding planners, caterers, and florists who have experience with organic weddings. How Do You Research Your Organic Wedding? You can use various online resources to help you figure out the specifics. Instagram and Pinterest can also give you some useful tips. For the purposes of research, you can generally use the terms “green”, “organic” and “eco-friendly” interchangeably. A product has to fit certain criteria for it to be sold as organic, because the term is regulated by the FDA. “Natural” products can be a good choice too, though this label is used more freely. In any case, your goal is to choose décor made from materials that can be recycled. You also want to select a healthy menu made up of eco-friendly ingredients. There are many other ways to avoid polluting the environment. All you have to do is pay attention to the details. Now let’s look into some of the specifics. What should you keep in mind while choosing a venue for your organic wedding? You can absolutely have an eco-friendly wedding ceremony outdoors. For example, a lakeside wedding could be perfect for you. Of course, it’s important to get every necessary permit and make sure none of your guests do damage to the venue. Local venues are the best choice. After all, driving long distances can only harm the environment. But maybe your heart’s set on a more remote venue. In this case, you should organize efficient transportation for your guests. You can also cut back on emissions if you organize your ceremony and your reception at the same place. It’s a good idea to support organic businesses. Hence, you can host your wedding in a barnyard, a vineyard, or a botanical garden. Most organic weddings look welcoming and refreshing. The décor generally uses flowers, greenery, and natural materials like wood. Many couples choose a green and white theme for their organic wedding. Evoking a rustic feel with wood furniture can also have a gorgeous effect. But you can go with any theme and still find organic decorations to make it work. While nobody expects you to DIY all of your decorations, a few homemade details can leave a beautiful impression. For example, you can create eco-friendly centerpieces to set the mood. 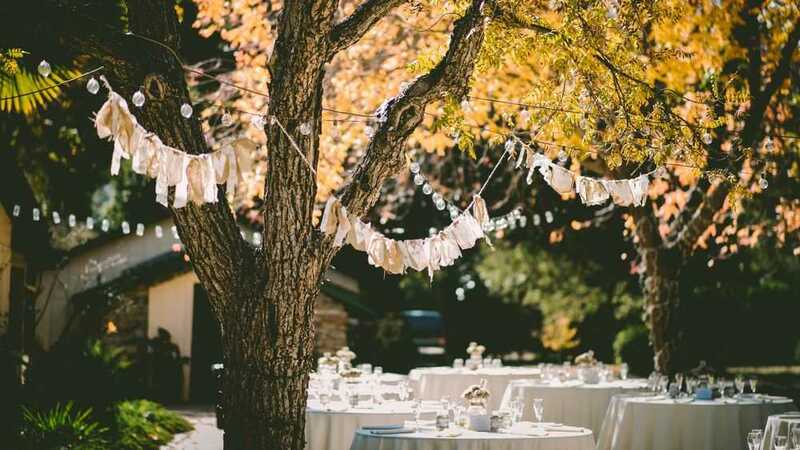 You can find organic options for everything from your tablecloths to your bridal canopy. If possible, it’s better to go for seasonal, local flowers. You can have these freshly delivered without a refrigeration period. You can also seek out Veriflora-certified flowers if you’re looking for something more exotic. Potted flowers, herbs, and spices are also a beautiful choice for an organic wedding. 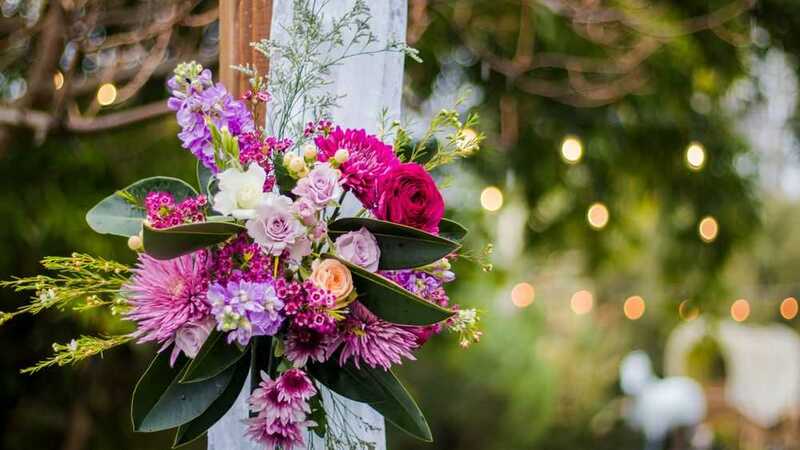 You can keep the flowers after your ceremony is over for a living memory of your special day. Additionally, you can give the potted flowers to your guests as a wedding favor. Is It Possible to Have a Lavish Organic Wedding Menu? Absolutely. You don’t have to compromise taste and presentation to have eco-friendly food choices. You can look into healthy organic appetizers and cocktails. Some couples even opt for a juice bar. Fresh fruit and vegetables can double as a unique wedding decoration. Speak to your catering about using organic, locally farmed ingredients. Look into the farm-to-table movement in your area. Your wedding cake can be organic as well. Don’t forget about your vegetarian guests and guests with dietary constraints. You want to make sure that everyone gets a filling, memorable, beautifully arranged meal. You can select invitations made of eco-conscious materials and ink. Some couples even opt for online invitations over traditional ones. It’s possible to find ethical wedding dresses in many different designs. While this may be the more expensive option, it is definitely worth it. Many brides rent a dress instead of buying one. You can also buy an affordable but stunning vintage dress. Grooms can rent their outfit as well. You can also choose eco-friendly makeup for your big day. Again, the higher price is worth it, especially if you choose a fair trade product. If you have ethical concerns about using a diamond wedding or engagement ring, there are many alternatives out there. Vintage rings can be stunning too. When you make it clear that you’re organizing an organic wedding, many of your friends will realize that you’re hoping for eco-friendly gifts. Your bridal registry can reflect this as well. 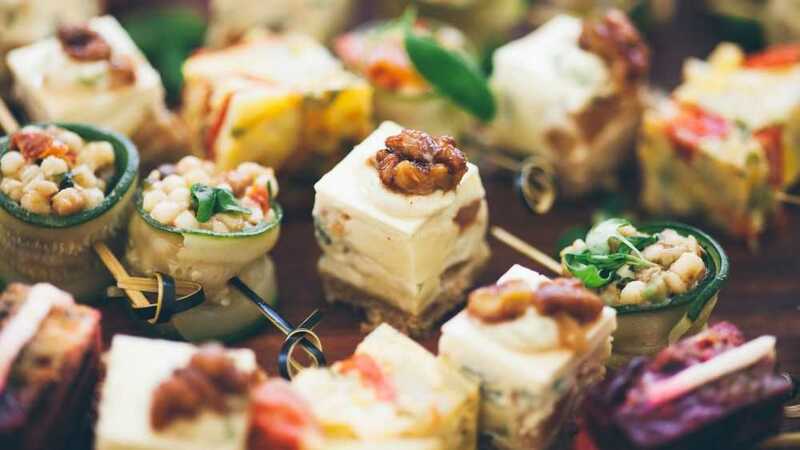 Making a food donation of your leftover wedding food is one of the best ways to start your marriage. Organizing a memorable organic wedding may require some extra effort, but the payoff is worth it. Your guests will appreciate all the care you put into the food and decorations. Everyone loves feeling close to nature when they’re sharing an important event. 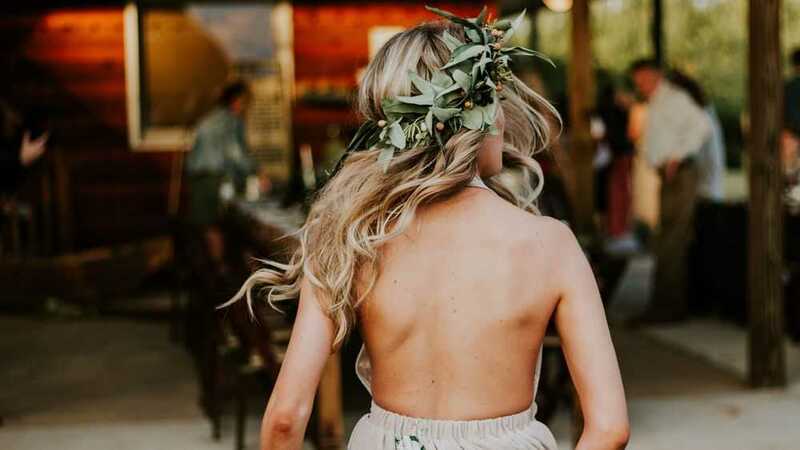 It’s totally possible to make your eco-friendly wedding trendy, ethically sound, and beautiful at the same time.